What fuels Islamic extremism in France? 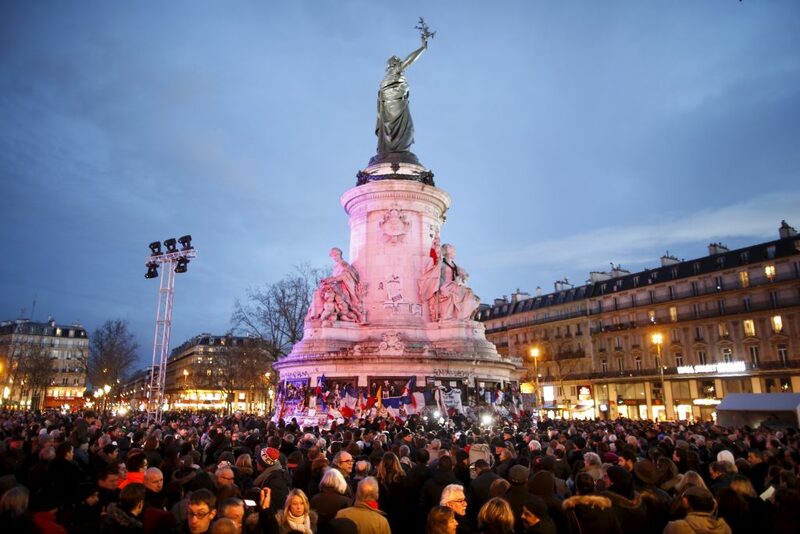 Around 2,000 people gathered in Paris Sunday to remember the victims of the terror attacks that occurred last year in France, killing almost 150 people. How did the Charlie Hebdo attacks affect rising Islamophobia in France? By some estimates, the French city of Marseille is now 30 to 40 percent Muslim -- once of the highest concentrations of Muslims anywhere in France. But even in Marseille, tensions between Muslims and non-Muslims have been rising for years. Graphic designer Joachim Roncin is trying to protect the original meaning of #JeSuisCharlie -- a phrase he coined after the attack on the Paris newspaper Charlie Hebdo. At least five people were killed in Niger during protests against the French satirical publication Charlie Hebdo on Saturday, authorities said, raising the two-day death toll in the violent demonstrations in the country's capital to ten.